As Yahoo continues to weigh offers from potential bidders, its current display ad and search business has taken a hit. AT&T (T) said Wednesday that it would be ending part of a 15-year-old deal with the company. It's moving management of its online portal, AT&T applications, and search to another company, Synacor (SYNC). The Wall Street Journal first reported the break on Wednesday. AT&T confirmed the split in a statement, saying the transition would take place over the next one to two years. 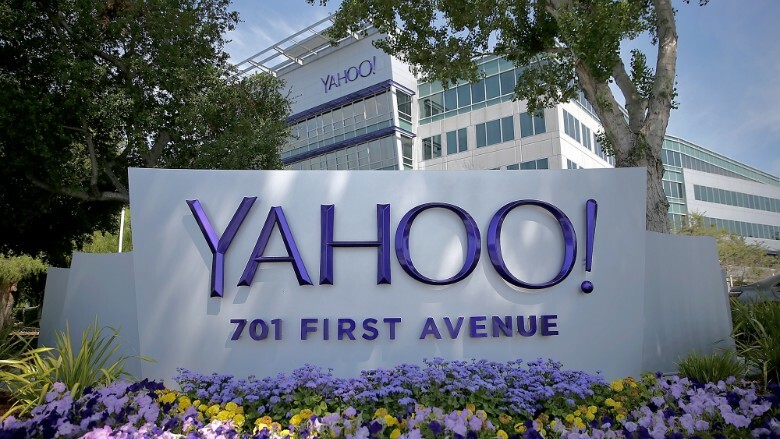 It will not have any impact on AT&T email, which will continue to be hosted by Yahoo (YAHOF). "It is another step as we integrate the entertainment and services our customers want. Our customers will not have to take any actions during this transition. This deal does not impact email addresses," said AT&T. In a news release announcing the new contract, Synacor estimated the revenue from the deal at around $100 million a year after the transition is completed. Under the expiring deal with Yahoo, visitors to att.net are redirected to att.yahoo.com where they are greeted with a Yahoo search bar and the latest Yahoo news. Yahoo search also appears in other AT&T products. "We are honored to have been selected from among the contenders AT&T considered in their evaluation process," said Himesh Bhise, Synacor's CEO, in the release. Yahoo declined to comment on the matter.